and as I came to the last few days of the series, I realized that I was short a post! to create a new look for you! the centerpiece sits on a length of raw linen fabric that I've held onto for TWO decades. I found the vintage linen napkin that matches it's tone PERFECTLY... three days ago! they blend beautifully with the wood tones of my beloved farm table. i love the finish on it now! paired with my white china to set them off. there are three patterns, so the effect is one of layered textures. and the gold flatware is a warm touch perfect for autumn. 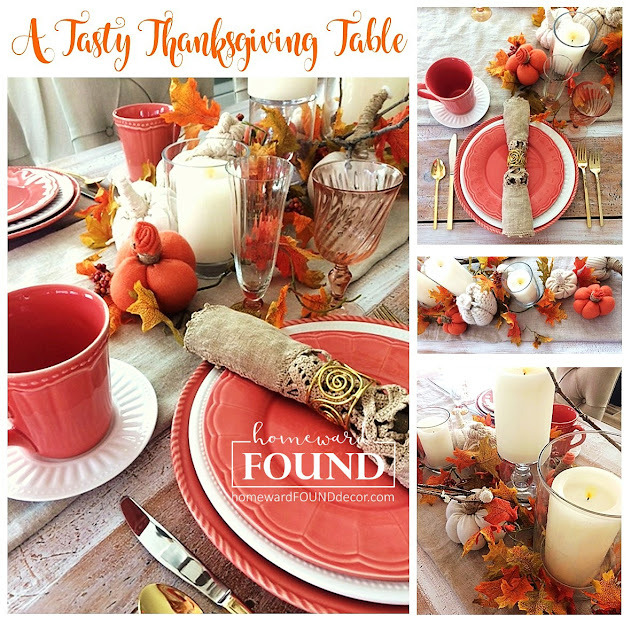 I hope this series is giving you some ideas for your own holiday table!